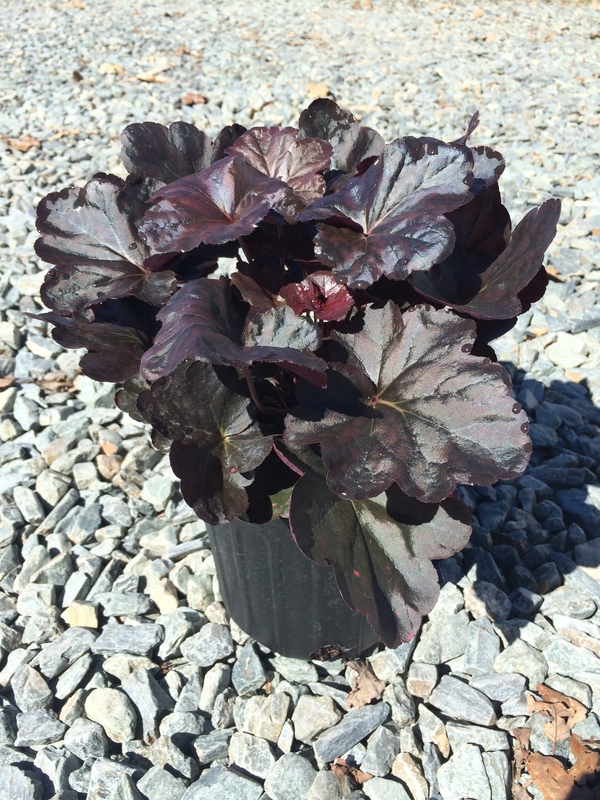 Shiny, dark purple almost black foliage remains year round and is a stunning addition to the landscape. Foliage grows 12 inches tall and 16 inches wide. Partial sun. Native. Deer Resistant.